Since it is Sunday, I started the day writing my poem for The Sunday Whirl, but try as I might, I couldn’t get the words to flow. 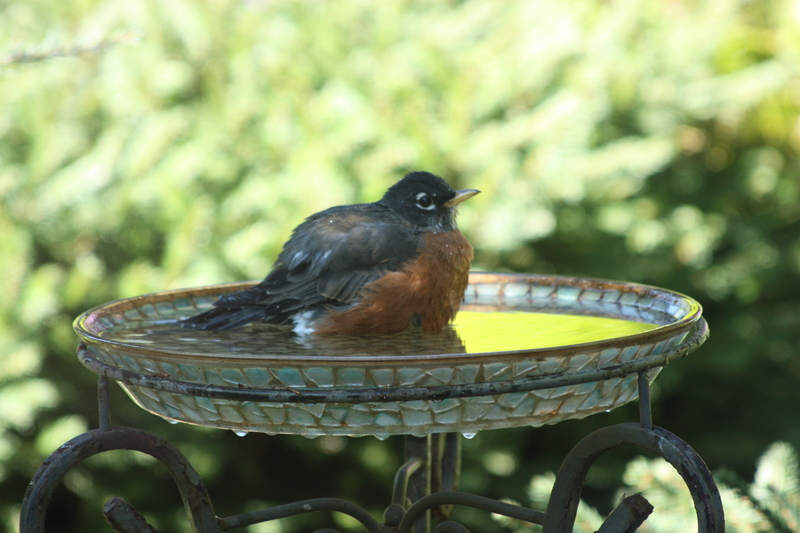 I stared out my living room window and noticed first a chickadee and then a robin in my birdbath. As I watched the muse returned and I was able to come up with my poem for the challenge. Then I read the other answers to the challenge. After that, I finished the book I was reading, lying on the couch with Calliope on my chest, and wrote its review. It has been a lovely quiet day.